Lidar, which stands for Light Detection and Ranging, is a remote sensing method that uses light in the form of a pulsed laser to measure ranges (variable distances) to the Earth. These light pulses—combined with other data recorded by the airborne system— generate precise, three-dimensional information about the shape of the Earth and its surface characteristics (NOAA, 2016). Every month we will focus on a specific theme, featuring a selection of articles which have previously been published in GIM International magazine, to present a complete recap of the subject. If you don't want to miss these themed recaps, sign up for the newsletter (sign up here). 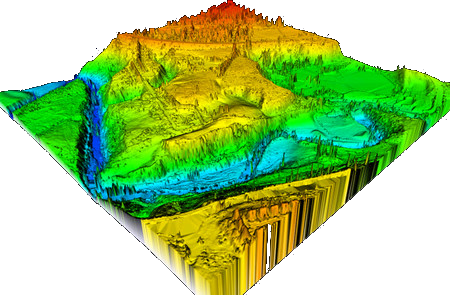 Lidar, or Light Detection and Ranging surveying, is a measuring system that uses light. It is widely used in archaeology, forestry, geography, geology, seismology, remote sensing and contour mapping and is spreading to many more geomatics applications. The market for laser scanning is growing strongly as more efficient and cost-effective ways of processing Lidar data create new possibilities in a range of different fields, including construction and engineering, industrial facilities, topographical applications and cultural heritage. GIM International is closely monitoring these developments and will continually keep you updated on the innovations in this ever-changing market through this dedicated Lidar page. Whether you are interested in latest articles and news on Lidar in general or in specific topics like Lidar Survey and Mobile Lidar, you will find it here!